Asset Manager Stop wasting money and start optimising. Get the complete picture of your IT assets from purchase to disposal. What does it take to build a strong Asset Management Practise? Find out from industry experts. Optimise use and performance of your IT assets and contracts. Follow these 7 Best Practises Tips to get the most out of your IT Assets. The strength of this solution is its total focus on the user, high-speed responsiveness, and the ability to increase productivity. Gain at-a-glance information on assets—where they are and how they’re used—to make the most of your IT investments. Save time and reduce resources dedicated to managing your assets. Reduce downtime, increase productivity, and gain an accurate picture of your IT environment for better decision making. Avoid financial risks and security threats, reduce theft and loss, instal updates, and ensure your assets are used appropriately. 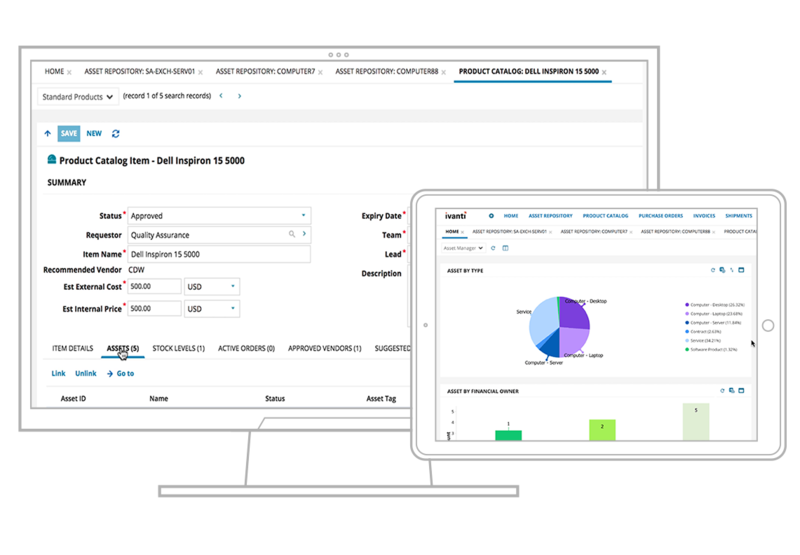 Consistent asset management from procurement to purchase order, receipt, deployment and disposal. Keep track of asset information, including identifying data, lifecycle status, stock, location, and warranty information. 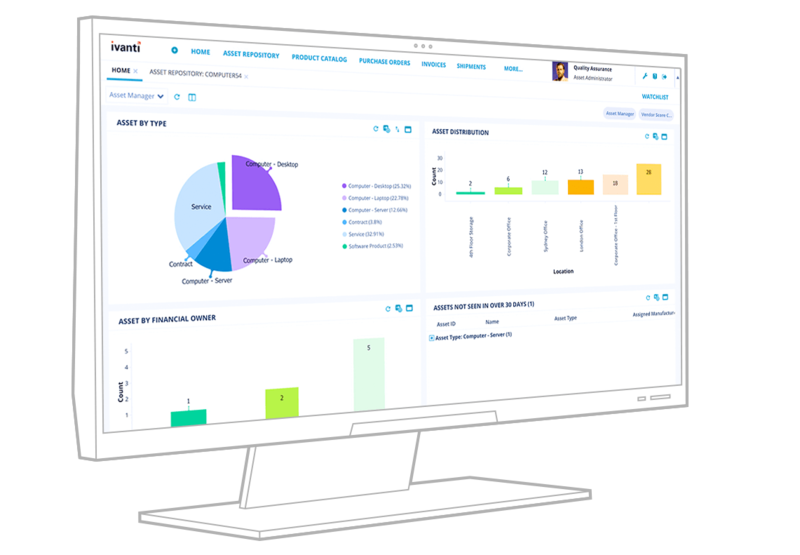 Visibility into purchased and assigned assets, current stock levels, or active orders to increase speed to provision while reducing service desk calls. Report on IT spend, calculate and track asset age and value. View and manage contracts effectively and make informed decisions for contract negotiations. Asset repository integrates with your service management CMDB for up-to-date asset information, easy request management and improved service delivery. Hosted on Ivanti's multi-tenant, cloud-based technology platform; ISO 27001 certified. Asset Manager is also available on-premises. It’s time you stop with the firefighting and start being strategic with your IT asset management software. Having insight into where your assets are, how much they’re costing you, and how they’re performing throughout their lifecycle—we’re talking cradle to grave—gives you the edge you need to make your assets work harder for you. We'd love to help you get the most of your IT assets. We are here to answer any of your Asset Manager questions. Ready to take the next step and optimise your IT asset investments? Let's talk and find the best ITAM solution fit for your business requirements.